Experience downtowns finest living at the full-service Regatta, one of the premier condominium buildings in Battery Park City! 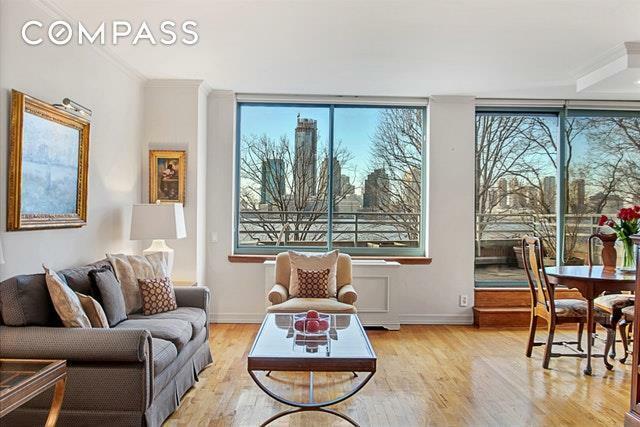 This beautiful light-filled apartment will thrill your senses with oversized windows showcasing southwestern views of the New York Harbor, Statue of Liberty and beyond. Generous, excellent-condition living space enriched by hardwood floors is complemented by an incredible 17-long west-facing terrace with direct water views and spectacular sunsets that makes you feel like youre floating in paradise. Entertain in the expansive living and dining room that captures wonderful vistas. A large open windowed chefs kitchen and 2.5 newly-renovated bathrooms enhance the quality and comfort of this special residence. 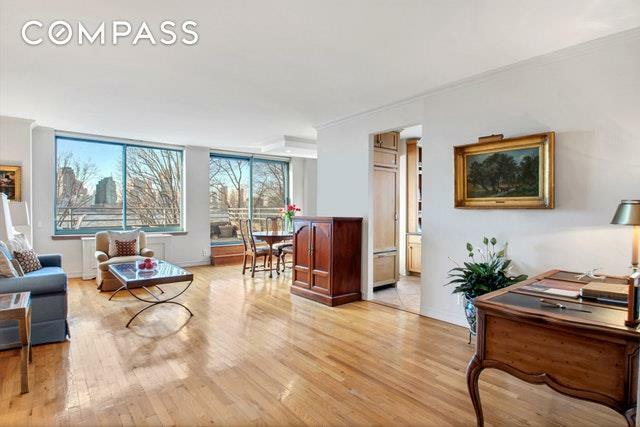 Two bedrooms in separate wings afford peace and privacy and offer lovely en-suite baths. Other highlights include an abundance of custom-built closets, and an in-home washer and dryer.A tree-lined cul-de-sac community along the Hudson River, located directly on the Esplanade, The Regatta was designed by Gruzen Samton Architects, and built in 1988. 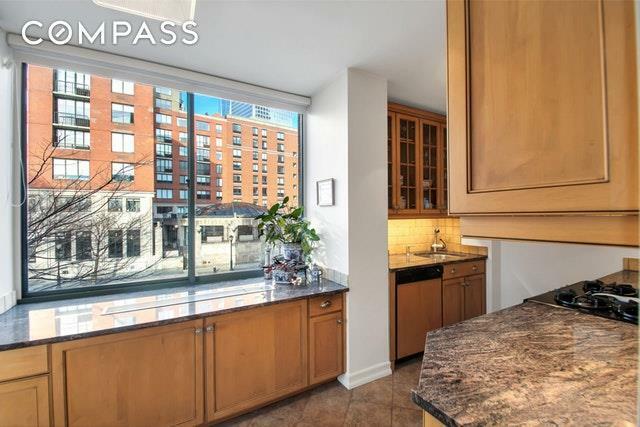 Residents enjoy a host of desirable amenities such as 24-hour doorman & concierge service, a live-in super, 4 elevators, a winter garden, stunning roof deck with amazing river and Statue of Liberty views, plus bicycle and basement storage. 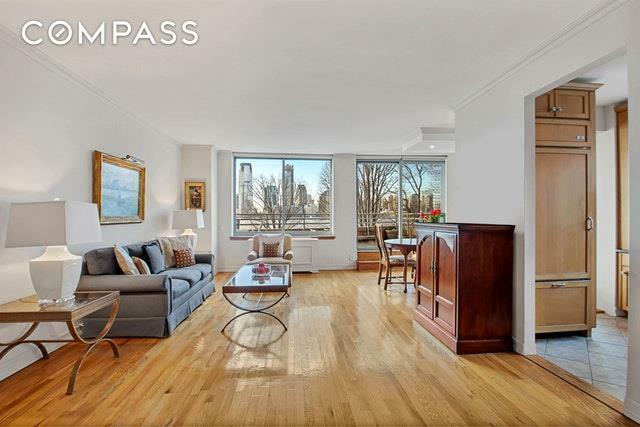 The prime location is adjacent to several parks and the Hudson River promenade for outdoor strolls. Westfield is minutes away, featuring the fine fare of Eataly, as is Le District, the huge French market and restaurant complex. Also nearby is the new Brookfield Place, a world-class retail, culinary and cultural center with a European-style market, waterfront dining and diverse restaurants, as well as the Apple Store, Saks Fifth Avenue, Regal Cinema, Equinox gym and more! Catch the 1 train at the Rector Street subway station. Email me today to schedule a viewing of this wonderful home.